Okay, it's definitely time to be thinking about the 2019 camping season, despite all those reports of white stuff!!!! And that means it's time to review your 2019 camping plans and start making your reservations. One thing you will notice this year is that we are putting down crushed limestone onto our roads through the RV area to replace the previous gravel/sand roads. Also, Rustic sites 3 and 4 will have 20 amp electric available @ $25 / night. We are committed to providing the absolute best experience to each and every one of our campers. Over the last 13 years, since we purchased the campground in May of 2005, we have continued to grow while staying true to our original mission — to give you, the camper, an enjoyable and memorable camping experience. 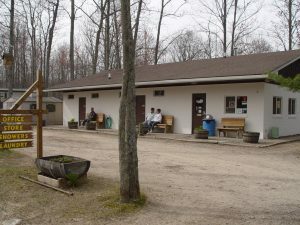 Hidden Hill Campground was founded around 1969 by Harrison resident, Bob McRay. Bob’s granddaughter named the campground “Hidden Hill Campground” because there was a hill between M-61 and the main camping area. 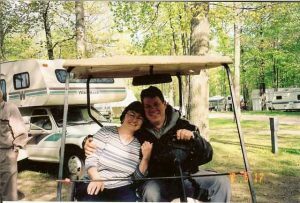 There have been three other owners before Dave and Reva Basinger purchased the campground in May of 2005. The previous owner had altered the name slightly and added “Family” to the name. Upon settling in to the residence on the campground, Dave and Reva published our first website, authored by Peter Pelland of Pelland Advertising, a nationally known web designer. During the first week, we added the flower garden, and on the second week, we added swings to the playground. 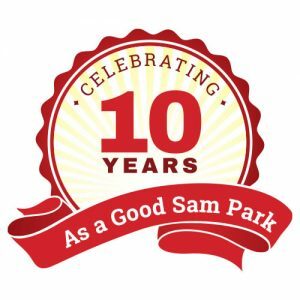 Later that first year, we became a Good Sam Park. In December we began updating the bathrooms. In 2006, we also became a AAA Approved Campground. And we haven’t stopped improving and changing since! 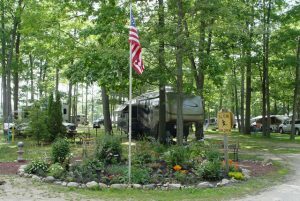 Enjoy camping in Northern Michigan in our quiet, shady and friendly country setting! This is our second year as RV owners, and this was our first campground that we stayed at when we went out for our first camping trip. We liked it so much we have been back there 3 more times since then. 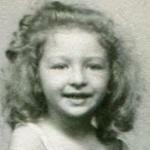 The facilities are always very clean, and the owners are very friendly and personable. They made a point of visiting us (and all campers) at least once each stay. We will definitely be going back there again! – Owner goes out of his way to make you feel at home. Very clean washrooms. Nice campsite. Loved it. – Owners are friendly. The public bathrooms are always clean. – Family atmosphere here! Great place to stay! – Fun place for Halloween! We stayed here overnight. The park was conveniently located halfway between our destination. Good place to overnight. A few seasonal rigs in here. 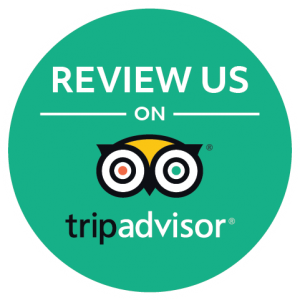 Everything well maintained and owners are very friendly. We camped at Hidden Hill Family Campground in a Fifth Wheel. This campground is a real gem. No, it’s not a resort, but it is well managed, well maintained, clean, quiet and peaceful. The owners are very helpful and friendly. They have a well stocked but small camp store and even firewood delivery your site! 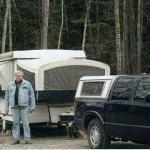 Our site was fairly large with plenty of room for our 35 foot travel trailer and tow vehicle. Sites are dirt and grass and owners are improving the grass. Did you mention it is peaceful?! The owners enforce their rules and that is a good thing! We will be back. We camped at Hidden Hill Family Campground in a Travel Trailer.